As we reported last week, Ohio Republicans have proposed House Bill 228, the controversial 'Stand Your Ground' legislation which would make it easier for gun owners to use deadly force under the guise of self-defense. 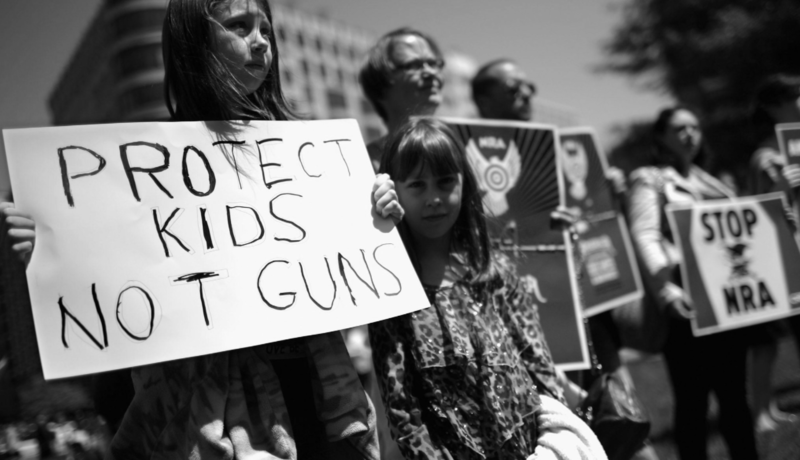 HB 228 has been in the works for over a year, but a vote yesterday signified it as the first pro-gun legislation to be heard in a Statehouse since the latest mass school shooting in Santa Fe, Texas, which killed 10 students and teachers and left another 10 wounded. If passed into law, HB 228 would shift the burden of offering proof in self-defense cases from the defendant to the prosecutor, remove requirements that K-12 schools, police stations, courthouses, airports and other public sector locations posting gun-free zones signs and reduce certain concealed handgun violations to minor misdemeanors. The bill cleared the House Federalism and Interstate Relations Committee in a 7-3 vote down party lines yesterday, but it's not been specified when the bill will go to the floor for a vote. Given the timing, it's not a good look for Ohio. Back in February, Gov. John Kasich announced he would not sign a "Stand Your Ground" bill in the wake of the Parkland, Florida, mass school shooting that killed 17 students and staff members. Kasich has instead been pushing for common sense gun laws. Ohio's American Civil Liberties Union (ACLU) is also against this bill, as 'Stand Your Ground' bills historically disproportionately harm people of color. A 2013 study by the Urban Institute that examined FBI crime data concluded that in states with “Stand Your Ground” laws, a white shooter is 281 percent more likely to have their homicide ruled “justified” when the victim is black. The House Federalism and Interstate Relations Committee also had initial hearing on two other bills that would expand gun rights. House Bill 622 would allow judges and magistrates across the state to carry a concealed weapon in the courtroom. Senate Bill 208 would allow a law enforcement officer to carry a weapon on premises open to the public, regardless of if they are on or off duty.